Golf is a popular spectator sport, but for those who play it's a great source of low impact cardiovascular, strength, and aerobic exercise. In addition, golf is by nature a social game that provides the opportunity to meet new people. Golf All-In-One For Dummies shows you not only how to get the most physical benefit from a round of golf, but also the tools you need to truly enjoy the game. From perfecting your swing to avoiding injuries, the proven techniques presented in this book give you everything you need to have the time of your life every time you hit the links. 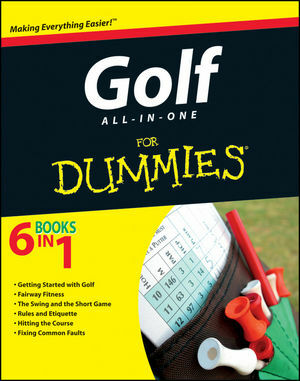 Whether you already have some golf experience or are completely new to the game, Golf All-In-One For Dummies will have you playing like a pro in no time.